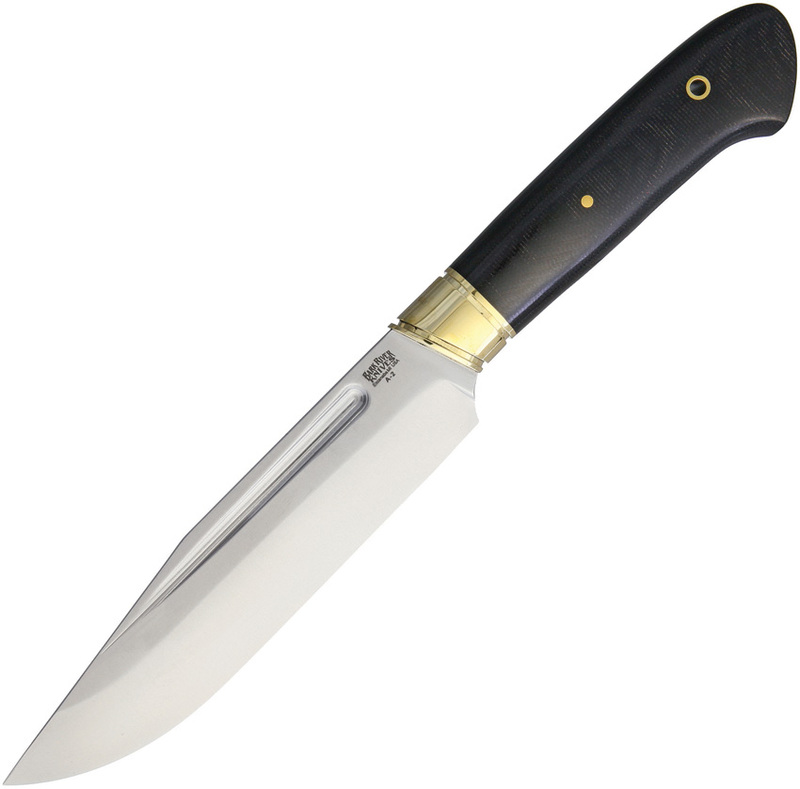 Blade: A-2 Tool Steel l Standard Edge l Satin Finish; Handle: Black; Lanyard Hole. Black canvas micarta handles and spacer with nickel silver guard. Brown leather belt sheath. Collaboration with Dan Tope. Boxed. Made in the USA. Q: Does the vidarr you have instock match the one in the photo of the listing? Only have the two pins in the handle? A: Hello and thank you for your inquiry. The knife that we currently sell only has two pins. Log in and purchase this item to be earn 200 points. Learn about Rewards.